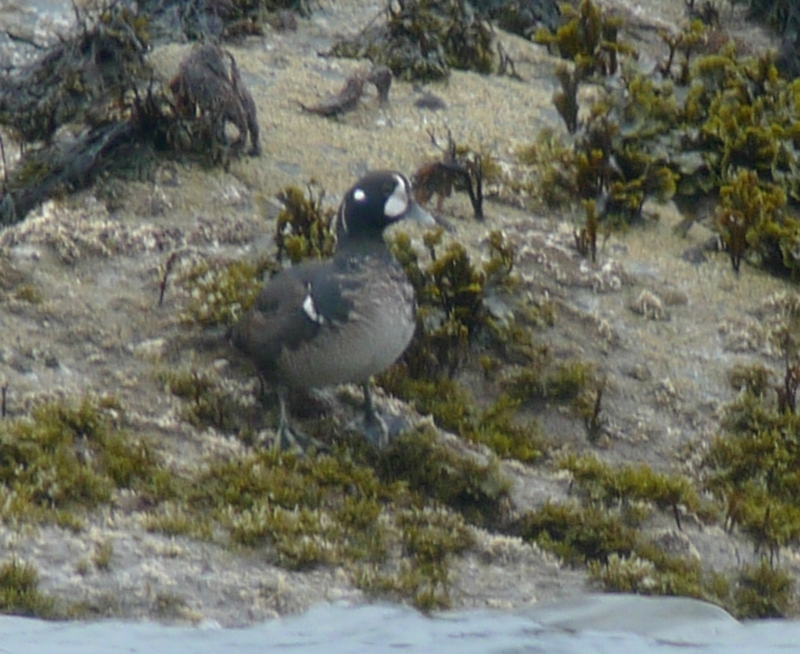 Finally had a chance to see the Harlequin Duck that has been around since the 18/2/2013. As we had arrived on the boat the previous evening we were the only people looking for the bird this morning. It was spotted after about 10 minutes searching feeding about 200 yards offshore. 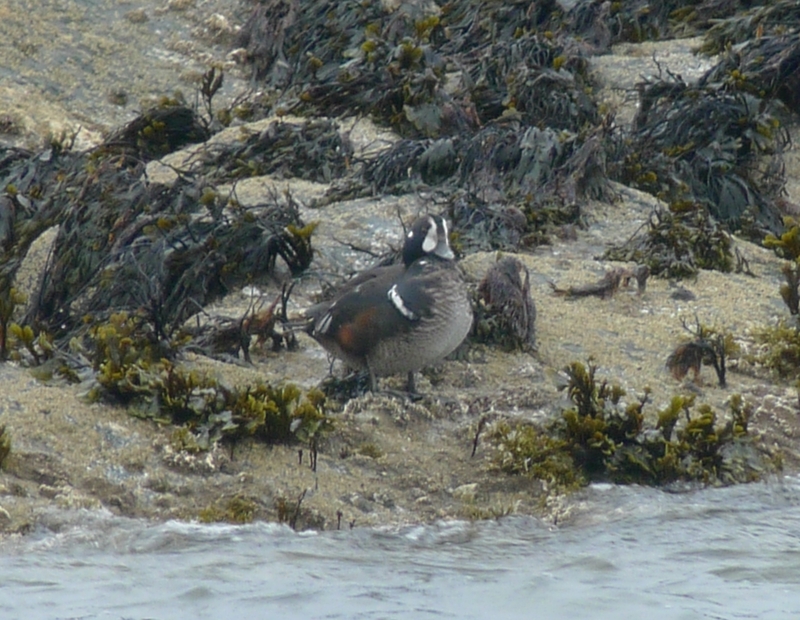 It later came ashore on a rocky outcrop to preen and rest. Later we toured the Islands and saw 3 Golden Eagles, 8 Hen Harriers, 2 Merlin, 2 Short Eared Owls. There were 100’s of Greenland White Fronted Geese around the Islands along with 100’s of Redwings.